Dr. Jeffrey L. Duerk is the Dean of Engineering at Case Western Reserve University (Cleveland, OH), Professor of Biomedical Engineering, Electrical Engineering and Radiology, and from 2008-2012 was the Chairman of the CWRU Department of Biomedical Engineering. He is also the founding director of the Case Center of Imaging Research (a campus-wide interdisciplinary center consisting of engineers, physicists, physicians, biochemists, and radiochemists working together to develop new biomedical imaging technologies and translational applications). 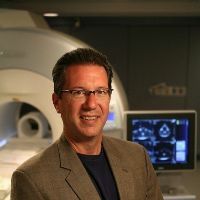 Dr. Duerk is a world-renowned expert and leader in biomedical imaging, especially MRI, in which he has published over 185 peer-reviewed papers, 15 patents (12 licensed to industry), and numerous chapters and conference proceedings. In addition to his research accomplishments, Dr. Duerk has been a strong advocate and supporter of international collaboration in biomedical engineering research and education. For example, he has played a key role in developing several research and student exchange programs in Germany, Malaysia, Thailand, Philippines, China, Brazil, Romania, South Korea, etc. ; he has also been a strong supporter of the EMBS-sponsored International BME Chairs’ Forum since its inception and served as a chair of the Forum in 2012. Dr. Duerk has served in key leadership positions in international professional organizations, including as President of the International Society for Magnetic Resonance in Medicine, Chair of the 2004 ISMRM Program Committee (Kyoto, Japan), Treasurer of the ISMRM, Editor-in-Chief of Magnetic Resonance in Medicine, and member of the ISMRM Board of Trustees. He has also been served as the Chair of the Program Committee for the EMBS flagship annual meeting in Chicago, 2014, a member of the EMBS Ex-Com, IEEE-TMI and IEEE-TBME reviewer over many years. He is a Fellow of the IEEE, the ISMRM, AIMBE and a member of the inaugural class of Distinguished Researchers of the Academy of Radiology Research.